FALL RIVER, Mass. 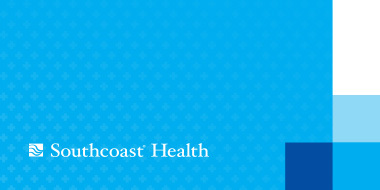 – Southcoast Health today announced that Amy Anderson, DO, endocrinologist, has joined Southcoast Physicians Group, and will see patients at 1030 President Ave., Suite 107, in Fall River. Dr. Anderson earned her doctorate in osteopathic medicine from Nova Southeastern College of Osteopathic Medicine in Davie, Fla., where she also earned a masters of public health. She completed an internship and residency in internal medicine in the Women’s Health Track at Virginia Commonwealth University in Richmond, Va.
Dr. Anderson was awarded the Arthur Klein, MD Award for Humanism in Medicine at Virginia Commonwealth University, and the Clinical Fellows Travel Grant and Abstract Award (Pfizer) from the Endocrine Society. Her research project,”Etiologic Factors of Obesity Associated Hyperandrogenemia During Puberty” was awarded the Endocrine Fellows Foundation – Endocrine Research Grant, and she has been published in a number of peer-reviewed journals and other publications. Dr. Anderson is board certified in internal medicine. She is a member of the Endocrine Society and the American Association of Clinical Endocrinologists. To schedule an appointment, call 508-676-3411.